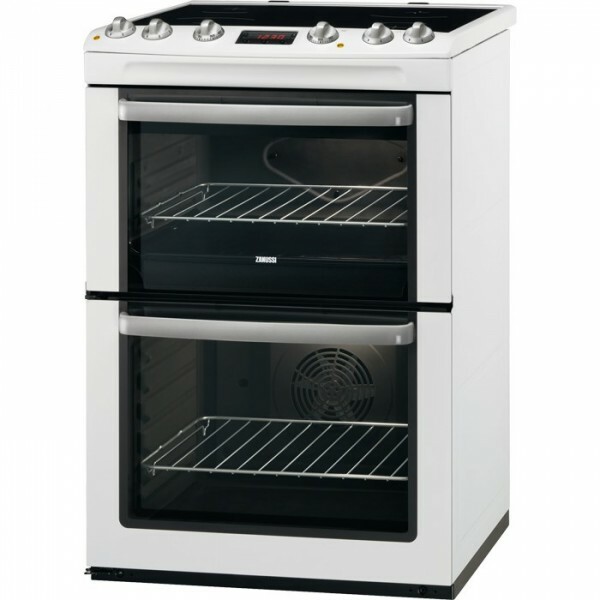 Product information "Zanussi ZCV667MWC Cooker Double Oven Ceramic 60CM"
Nobody likes scrubbing away at their oven for hours, so the inside of the ZCV667MWC has special enamel liners. These make cleaning effortless by absorbing grease. Related links to "Zanussi ZCV667MWC Cooker Double Oven Ceramic 60CM"
Customer review for "Zanussi ZCV667MWC Cooker Double Oven Ceramic 60CM"